The hot real estate market contributes to rising rents and home prices that are pushing low-income and working-class people out of their old neighborhoods, and prevents them from finding housing in neighborhoods right for them. How many times in recent years has a national magazine or website touted Philly as a great place to live? After years of decline, new housing developments and apartments are rising in places that not long ago contained dilapidated structures or empty lots. With them has come an influx of new residents, some of them young people attracted to Philadelphia's new cachet, others returning from the suburbs to share in the delights of a big but walkable city. But not all Philadelphians have benefited from this growth. In fact, the hot real estate market contributes to rising rents and home prices that are pushing low-income and working-class people out of their old neighborhoods, and preventing them from finding housing in neighborhoods right for them. For many, it is difficult to find affordable housing anywhere, and it will only get worse unless the city boosts the availability of affordable housing now. That's why the Mixed Income Housing Program bill in City Council (No. 170678) is needed. The bill — introduced in June by Councilwoman Maria Quiñones-Sánchez, Council President Darrell L. Clarke, and Council members Kenyatta Johnson and Jannie Blackwell — would require developers of residential projects with 10 or more units to set aside 10 percent of those units for renters or buyers who earn below the city's Area Median Income (AMI). 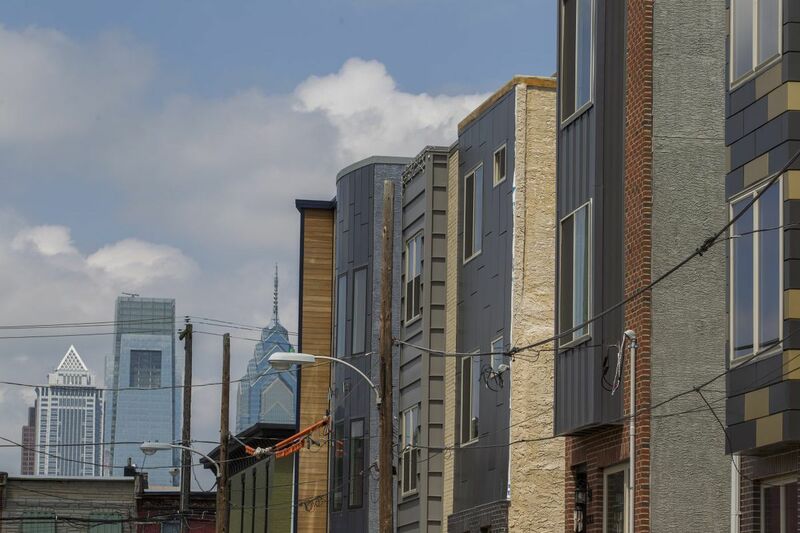 This would make it possible for Philadelphians who work hard but earn low wages, similar to security guards, home health-care aides, retail workers, and child-care workers, secure safe, affordable homes in neighborhoods where development is booming. Developers also could fulfill the law's requirements by making a payment to the Philadelphia Housing Trust Fund, which provides grants to nonprofit organizations that prevent homelessness, repair existing affordable homes, or build new affordable homes, all while serving Philadelphians who are extremely low-income. To offset some of developers' added costs, the city would grant "density bonuses" on projects, allowing them to build more housing on the sites than currently is allowed. Right now, more than 85,000 low-income Philadelphians pay more than half their incomes in rent. That's close to the economic edge; just one emergency can result in missed rent or mortgage payments, which in turn can lead to eviction or foreclosure. From 2000 to 2014, the city lost 23,000 affordable ($750 a month or lower) rental units and is projected to lose thousands more in the future. For potential homebuyers, median housing prices have risen 25.9 percent in just the last three years. And consider this: At the $7.25 minimum wage, it would take 128 hours of work a week to afford a two-bedroom apartment in Philadelphia at market rates. Where this is leading is not good: increased economic segregation and concentration, not only of poverty, but of wealthy areas where most Philadelphians can't afford to live near where they work. This would deepen the poverty and inequality that is entrenched in Philadelphia. This isn't fair, especially because many of these same Philadelphians have helped subsidize the 10-year property tax abatement program that has increased developers' profits by thousands, even millions, of dollars – and benefited higher-income homebuyers. For example, with the abatement, the owners of a $527,000 house in South Philadelphia pay taxes on just $150,224 of that value, saving them $5,275 a year in property taxes for 10 years. Meanwhile, families desperate for safe, stable homes are turned away from affordable-housing programs because there are not enough resources. This is a policy of inequality. A Mixed Income Housing Program would begin to give low-income renters and home buyers some benefit from the development boom they helped subsidize. While not the only solution to the problem, it would at least start to tilt the scales toward more equitable housing policies. Hundreds of other cities around the country have similar programs, and research shows they have little to no negative effect on the development market. If Mixed Income Housing can work effectively elsewhere, we can design a policy that works for Philadelphia. City Council is scheduled to hold hearings on the bill on Nov. 27 at 10 a.m. It deserves your support. Philadelphia's new prosperity should not have winners and losers. Beth McConnell is policy director at Philadelphia Association of Community Development Corporations (PACDC). Rasheedah Phillips is managing attorney at Community Legal Services.